Ruskeala, Karelia, January 21 2017: husky sledding in winter snow. 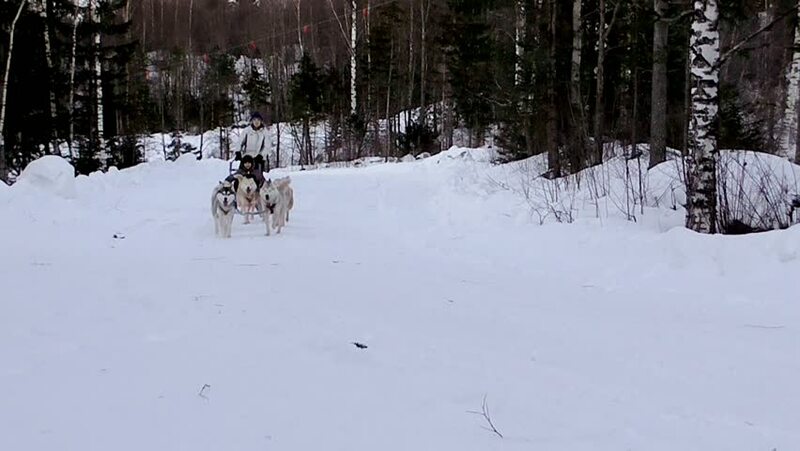 Siberian dogs driven sleigh people. The lives of the people in the North. Animals at work. Active dog sports. hd00:07KAMCHATKA PENINSULA, RUSSIA - MARCH 4, 2018: Sled dog team Kamchatka musher Ivanova Galiya running in snowy forest. Kamchatka Sled Dog Race Beringia, Russian Cup of Sled Dog Race (snow disciplines).